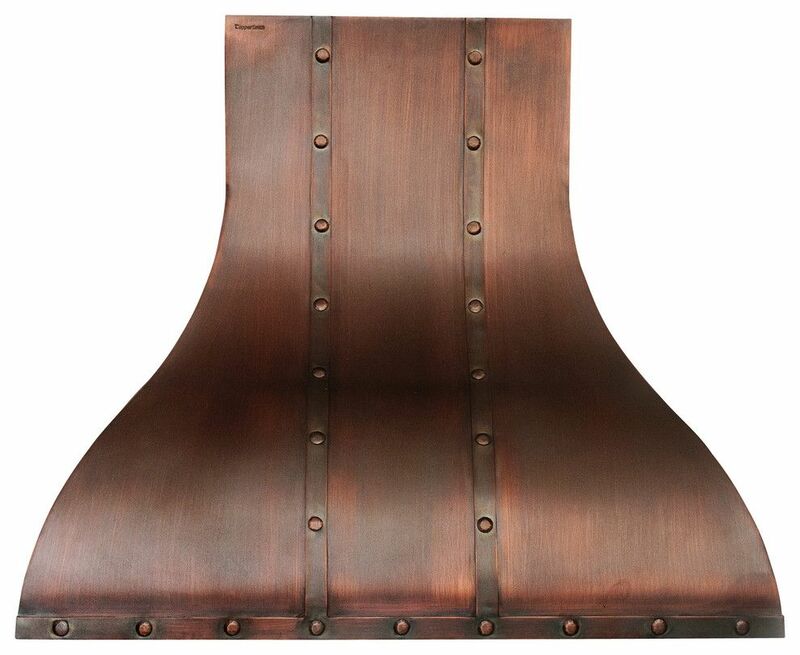 Colonial Copper Range Hood 30"
Inspired by American colonial home construction, this range hoods iron straps and rustic patina will add distinction and warmth to your family's kitchen. Each one is hand made from pure copper, then expertly brushed and sealed to provide a beautiful maintenance free finish. 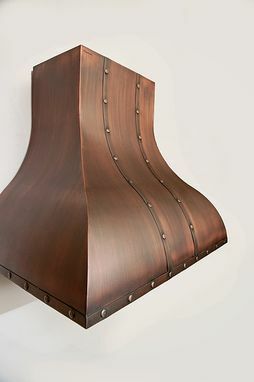 This hood is 30" wide, and comes in options of 30", 42" or 54" inch heights. You can also select between a 390 & 660 CFM internal fan with halogen lighting from Tradewinds.